The first one is YouthHope! Brad Morrison, owner of Riverbend Signworks, has been a longtime supporter of YouthHope. You will find him on their committee and volunteering at many of their events. What do they do? 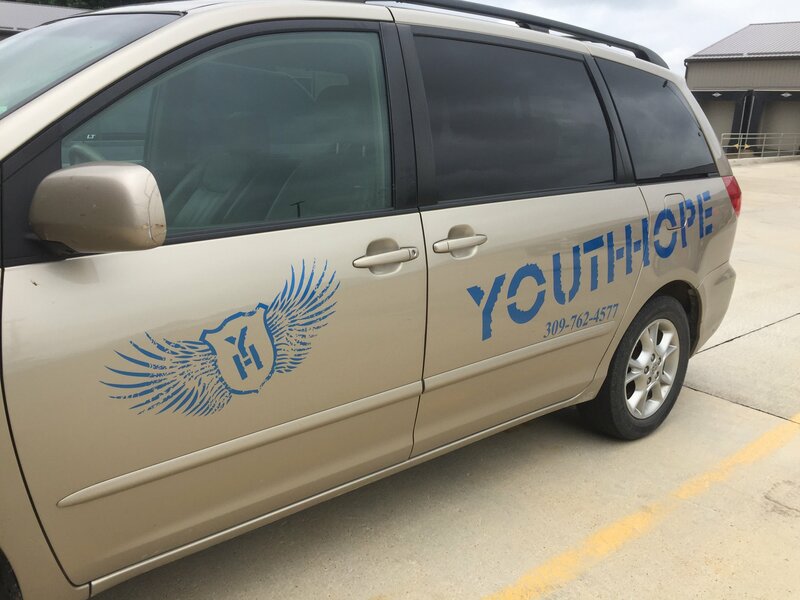 YouthHope is ministry of Christian Friendliness, which reaches more than 500 low-income kids and teens weekly through after school activities, a Christian youth camp, and other youth services. Their primary focus is the low-income areas of the Quad Cities. YouthHope is supported by generous people and organizations that believe in their ministry of helping broken lives become whole. They have two centers, one located in Rock Island and the other in Moline. YouthHope opened Camp Summit in 2001. Camp Summit is a place where kids and teens have the opportunity to leave their neighborhoods for a day, weekend, or whole week and experience things like cookouts and retreat activities that are not available in their housing complexes. Located in New Windsor, IL, on 65 acres of forest and a 4-acre lake, the camp is open year-round and features housing for up to 70, a full commercial kitchen, large meeting spaces, wilderness campsites, a zip-line and many outdoor activities.